Today, the Electronic Entertainment Expo, better known as E3, has just kicked off, and Microsoft has gotten us under way by announcing the release dates of some big titles headed to the Xbox later on this year. The keynote confirmed the retail market date of Call of Duty: Advanced Warfare and Forza Horizon 2 1080p, as well as demoing the likes of Evolve, Assassin’s Creed Unity, Dragon Age: Inquisition, Sunset Overdrive, and of course, Halo 5, so if you’ve been waiting for any of these epic titles to land, check the low-down after the jump! Last year’s E3 was dedicated to media, with Microsoft failing to impress gamers by following up the Xbox One’s announcement with a show reel of how wonderfully it operated as a set-top. Arguably, this botched launch attributed to the early struggle that the console has had versus the PlayStation 4 of Sony, but while 2013 was all about entertainment, Microsoft clearly wanted to atone by focusing on the games on this occasion. The Call of Duty franchise regularly takes the crown as the biggest-selling title of each year, and although it was relieved of that accolade last year by the record-busting GTA V from Rockstar Games, it is widely expected that the Activision title will reign supreme once again this time around. 2014’s outing, as we already knew, will be called Call of Duty: Advanced Warfare, and as confirmed by Microsoft’s Xbox lead Phil Spencer just a short while ago, will become available on November 4th, 2014. Popular racer Forza Horizon 2 in 1080p was also demoed, and will arrive one week earlier than the latest installment of CoD on September 30th. The brainchild of the team behind Left 4 Dead – Turtle Rock Studios – Evolve has all the hallmarks of yet another great first-person shooter. An exclusive Beta for the Xbox One will arrive in the fall. The title will land on October 7th. This open world title mightn’t be as keenly-awaited as Grand Theft Auto, but it still has, by the look of the trailer, a great deal to offer. With 8-player co-op mode, it will keep you and your friends very much entertained, and it will launch on October 28th exclusively to the Xbox One. Assassin’s Creed remains near the top of most gamers’ want lists for a reason. The demo was a long showcasing of what looks a very exciting experience, and although the stealth factor seems to have been lost over time, it’s all a part of the game’s evolution. This time around, Ubisoft showcased a four-player online Shared Experience, and below, you can check the trailer for a taster of what’s to come. The title will be available this ‘Holiday 2014’. Conker the squirrel will be making an unexpected, but nonetheless welcome appearance on Project Spark this fall. The game-making project, which was announced at last year’s E3 before being rolled out in beta for Xbox One in March, and with the Conker pack, creative folk will have the added entertainment of this famous furry rodent. This new platformer is as whimsical and innocent as the title suggests, and whilst it’s easy to get wrapped up in the seriousness of some of these other titles, Ori and the Blind Forest offers a welcome break from tradition. Created by Moon Studios, it will be available this year. Another Xbox exclusive, the motion video game will be available on both the Xbox One and Xbox 360, and will release on October 21st of this year. Another addition to the famed Dance Central series, Spotlight will be headed exclusively to the Xbox One in the fall. As ever, it will pack a whole new soundtrack, and will be available as a digital download this September. An interesting new, arcade remix of Dead Rising 3 was also unveiled at the keynote, and is available to download and enjoy as of right now. Lara Croft is back and carries a more darker personality than ever. Although at this point we don’t have much details regarding the release date, but the trailer itself is enough to keep us on the edge of our seats. Witcher 3: Wild Hunt got a brand new gameplay trailer on stage at E3. No specific Xbox One related announcements were made, though. The title is said to be arriving in February 2015. Available on the original Xbox, Phantom Dust is back and has been completely reimagined for Microsoft’s latest powerhouse for your living room, the Xbox One. No release date has been revealed for Phantom Dust at the time of writing. The Division got some good stage time at the E3 opening keynote, and is a title based on online gameplay. From graphics to simple actions, this is without a doubt a next-gen title by a huge margin. The game is said to be releasing next year. An exclusive title to the Xbox One, Scalebound is a game which is meant to be big. While no release date was revealed at the keynote, it looks set to be a promising title. There are no details regarding the game’s release date. Originally launched back in 2007 for the Xbox 360, Crackdown is finally coming to the Xbox One with improved graphics, extreme gaming action and more. Crackdown 3 will be available next year. No Microsoft E3 keynote would be complete without some mention of Halo, and sure enough, 343 Industries’ Bonnie Ross took to the stage to talk Halo. November 11th will mark the release of Halo: The Master Chief Collection, described the entire Halo game series, under one roof, and “remastered for Xbox One” in 1080p. User will readily be able to toggle between remastered and original versions of the titles, and with multiplayer maps even having been remastered here, Halo: The Master Chief Collection will serve as an epic piece of Halo history that dedicated fans will not want to miss. In total, you get 100 multiplayer maps from the original Halo: Combat Evolved through Halo 4, and with a Gamerscore of 4000 achievable, it’s the perfect opportunity to boost your stats. For those in search of a new Halo experience, Halo 5: Guardians is on the horizon, with a beta headed later this year. As much as we’ll love reliving the story so far through Halo 1-4, we’re certainly looking forward to seeing what Halo 5 has to offer, and will keep you guys posted on any news relating to it or indeed any of today’s other Microsoft-related announcements. 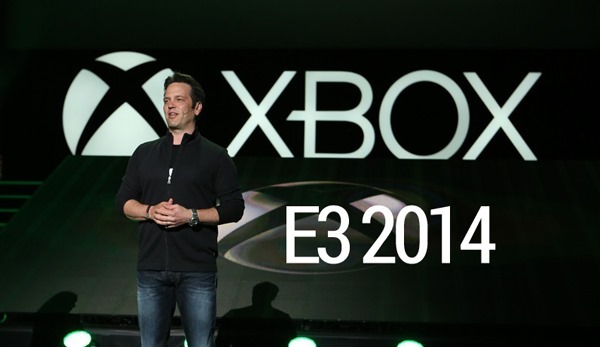 What’s your greatest takeaway from Microsoft’s E3 keynote?